The Kole tang, Ctenochaetus strigosus, is a popular saltwater fish, also known as Yelloweye Tang, Striped Bristletooth Tang, Goldring Bristletooth Tang, Spotted Surgeonfish, Yellow-eyed surgeonfish etc. It belongs to the family Acanthuridae under order Perciformes of class Actinopterygii. Native to the Hawaiian Islands, it inhabits shallow to deep lagoons and outer reef areas where strong tides with oxygenated waters are available. The Kole tang is peaceful, hardy and relatively inexpensive, by saltwater aquarium standards. It has an oval shaped body with a sharp spine at the base of its caudal fin. The body is brown in color with light blue to yellow horizontal stripes. It has large eyes which are encircled by a pale yellowish ring while the head is decorated with small blue spots, which is what makes this such an iconic and stunning fish. The kole tang has small, sharp and flexible comb-like teeth that help to browse varieties of detritus material as well as algae from the surfaces of rocks and sand. It grows up to 7 inches in length and can live up to 10 years with proper care. The Yellow Eyed tang (Kole tang) is an algae eater. In the wild it mainly feeds on detritus, dinoflagellates, diatoms and other organic substances. 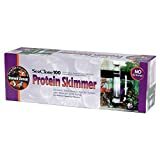 In the home aquarium, you can feed dried or fresh marine algae (Nori), Spirulina Flakes, Cyclops, Artemia, frozen mysis shrimp and flake foods. To keep your fish healthy provide a vitamin supplement like SELCON and/or vitamin C which helps to prevent lateral line erosion. 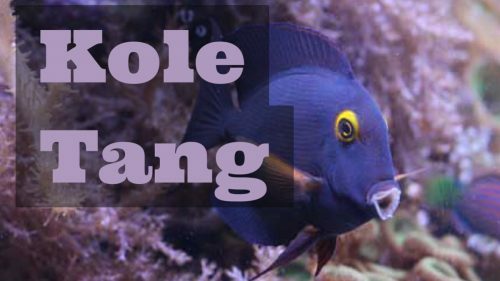 The Kole tang is suitable for a community tank, provided you have ample space and don’t plan on keeping any other tangs in your tank. In my opinion, ample space is at least 70 gallons, with lots of swimming space and good hiding spots for shelter during the night, although there will be others who will say more conservatively that you should have 100 gallons or more to keep the Kole tang (or any other tang, for that matter). 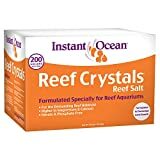 The ideal aquarium should also have a significant amount of live rock and live sand to support natural algae growth and detritus build up as a natural food, which will give them a place to graze, because they will graze constantly. This fish should not bother your crabs and shrimp or nip at corals and is considered to be reef safe. It is very difficult to tell the difference between the male and female. During the courtship period the male demonstrates some color changes. Tangs are egg scatterers and group spawners. On the reefs, spawning is tied to the lunar cycle, but as far a breeding in captivity, not much has been published. I personally have high hopes that the Kole tang will be available as a captive-bred species, now that there have been significant breakthroughs with rearing the yellow tang (another Hawaii native). Sometimes it is susceptible to nutritional disorders which may cause color loss or lateral line erosion. Be extremely cautious and careful if you intend to use activated carbon for chemical filtration while keeping the Kole tang or any other tang or surgeonfish, for that matter, since use of activated carbon is associated with head and lateral line disease (HLLE), as was published in CORAL magazine. Proper diet and quarantine are also recommended. Albert B. Ulrich III is the author of The Reef Aquarium Series of books: The New Saltwater Aquarium Guide, How to Frag Corals, 107 Tips for the Marine Reef Aquarium and the Reef Journal.